Why would You want a property manager? 1. The rules are perpetually changing... Over the last year rules changed quietly overnight for the removal of certain clauses in the contracts, the amounts for rent increases, the rules on asking for a tenant to leave for renovations and more. A property manager is up to date on all these aspects and what could be coming down the line in the future. This benefits both the owner and the the tenant as everyone will be using the same, most up to dates rules. 2. Professionalism for the tenants... There are many, many, horror stories from tenants about that crazy landlord that “did this” or “didn’t do that” or scams and really generally negative connotations. Using a professional helps put a tenant’s mind at ease knowing that they are working with a pro that isn’t a scam artist trying to take their hard earned money and disappear into the night. This also aids in getting you as a landlord a better tenant as a prospective tenant knows they are not dealing with an amateur. 3. Time saving... How much is your time worth? Licensed property managers do this full time. They have all sorts of trades and industry links at their disposal should anything go wrong ranging from handyman to plumbers to painters to cleaners and have seen a lot. If a pipe bursts your property manager has seen this before and knows who to call and how to get your investment back on track in the shortest time possible. Do you as an owner really want to handle that as well as work your full time job and try to spend time with your family as well? Property managers also handle all the time consuming items before and after a tenant such as showings, background checks, move-in/move-out reports and anything else that may come up along the way. 4. The second skin... Your property manager serves as a good mediator between tenants and owners. Just as with the sale of a home people have opinions and tastes that may differ from one another. A property manager is someone that is involved but has no emotional attachment and can best advise as a third party. Imagine that you have your beautiful home ready for market only to have someone with a different taste arrive and speak terribly of it; most would feel insulted and could sour future showings to other potential great tenants. 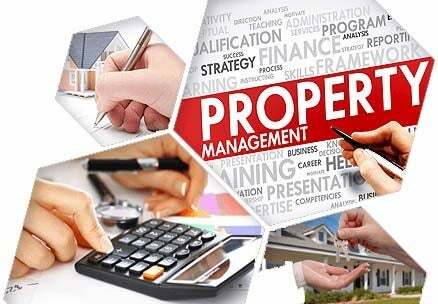 A property manager is separated from all that and can move onto the next without any issue. If you are thinking to become a landlord or already are, feel free to contact me and I would be happy to help see if I could be of service to you.